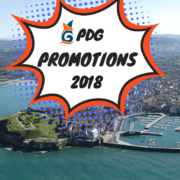 promotions 2018 Archivos - Puerto Deportivo de Gijón, Asturias. Norte de España. Puerto Deportivo Gijón is preparing for the start of summer season 2018, which begins next May 16th until September 15th, 2018 and, as every year, we launch our special promotions for customers. The offer consists of free nights offered to foreign and spanish customers in transit. This is a promotion that we repeat this year because of the excellent reviews from our customers last years. Thus, you get to enjoy the summer in Gijón marina with all the services situated in the center of a lively and dynamic city like Gijón. We also give our customers the opportunity to extend their stay and the possibility to know about the great cultural and gastronomic offer of the region. Puerto Deportivo Gijón offers SPECIAL RATES to catamarans as well.